Today I’m excited to share an unboxing of July’s Petit Vour box – one of my favorite subscription boxes when it comes to discovering new clean and non-toxic beauty products. Each monthly box includes 4-5 luxury beauty products, all of which are free of animal testing, animal ingredients, and harmful toxins. Products typically include skincare, body care, and makeup, and occasionally hair care and nail care. The box ships worldwide and costs $18/month to the US, $23/month to Canada, and $25/month to ship everywhere else. Visit Petit Vour to learn more! The July 2018 Petit Vour beauty box packs four summer-perfect, travel-friendly beauty products, including three skincare products and one makeup item. Keep reading for the full rundown! Ursa Major 4-in-1 Essential Face Wipes (Travel size, Value: $7) – Infused with aloe vera, witch hazel, and green tea, plus a whole slew of other plant-based extracts, these 100% bamboo fiber wipes remove dirt, oil, makeup (even tough to remove mascara), and dead skin without stripping skin. They also soothe and lightly hydrate (so you can skip the moisturizer if you’re in a pinch!). Each wipe in this travel-sized 5-pack comes individually wrapped, making them perfect for on-the-go – after a workout or beach day, while traveling or camping, or whenever you need a quick refresher. Little Barn Apothecary Aloe + Rosewater Balance Mist (Deluxe size, Value: $8) – I’m a sucker for facial mists and this all-natural one does not disappoint. It features a blend of natural botanicals, including Turkish rose, organic aloe vera, hibiscus and witch hazel, which together provide ‘antioxidant protection known widely to assist in supporting the skin’s own collagen production’. The scent is very rosy, yet subtle, and the mist itself feels incredibly soothing, gentle, and refreshing. It can be used on the face, neck, and body, and even over makeup to give it a little boost throughout the day. And since it contains rose, the mist works especially well post-sun to help soothe and heal the skin. OSEA Malibu Essential Hydrating Oil (Deluxe size, Value: $32) – Through a blend of macadamia oil, bergamot, geranium, clary sage and lemon, this oil helps soothe, hydrate, balance, brighten, and repair skin for a healthier, more youthful complexion. On my combination skin, the formula feels instantly soothing and hydrating, and also surprisingly lightweight (the trick is not to apply too much – a little goes a long way!). And to top it off, it features a beautiful mix of citrus, floral, and woodsy notes (though the overall scent is quite subtle and doesn’t linger too long). Unlike the full size version, this deluxe size bottle comes with a metal rollerball applicator, which feels cooling and refreshing on the skin (especially around the eye area). Not to mention it’s quicker and easier to apply than a pump so it’s great for on-the-go! 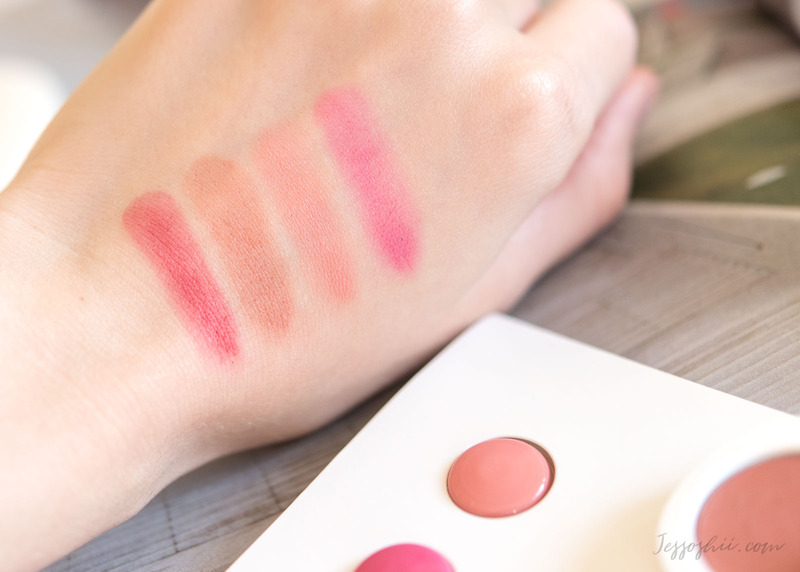 Lilah B. Divine Duo Lip & Cheek Set (Sample size, Value: $4) – I’m a big fan of Lilah B.’s clean, streamlined makeup line, including these multi-tasking lip + cheek tints (which I actually reviewed and demoed a while back here). This set includes three matte shades – b.real (a light pink), b.fearless (a true red), and b.sassy (a bright pink) – out of the eight currently available. There’s plenty of product in these little pods for 5+ applications each (even more if you’re using them primarily on the lips), and since the formula is so pigmented (but also easily blendable), it doesn’t take much to achieve noticeable, yet natural-looking color. Have you tried Petit Vour? What’s your favorite beauty subscription box?